FOX is going to hell. 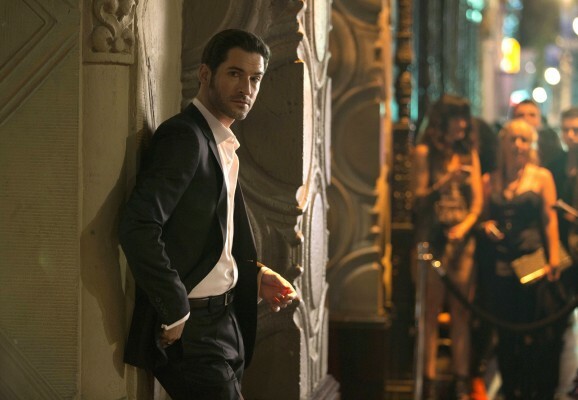 Recently, the network released a new first look preview for their upcoming series, Lucifer. The series premieres on January 25th, at 9 p.m.
Lucifer stars Tom Ellis as as Lucifer Morningstar, the famous fallen angel who leaves his throne in Hell to run a nightclub in Los Angeles. Based on characters created by Neil Gaiman, Sam Kieth, and Mike Dringenberg, the series also stars Lauren German, Rachael Harris, DB Woodside, Lesley-Ann Brandt, Kevin Alejandro, and Scarlett Estevez. What do you think? Will you watch the premiere of Lucifer? This is turning into a great show! I love Tom as Lucifer he is so perfect in this role. I hope you will not be PC and listen to critics. Keep this show going. I love this show. It’s something different and Lucifer has a sense of humor. Please keep the show. It’s entertaining. Love, love, love this show. Please renew Lucifer. Does not offend this religious person. Refreshing! Please keep lucifer on the air. I find it cute and funny. My sister watches it also. Not too many new shows I watch. Why did you make Lucifer a good guy? It would have been an interesting plot to have him as the enemy who constantly causes havoc and who the police constantly try to battle. If you put some money into it, it could have been as popular as Dexter. Put quality dialogue, actors, plots. This show will never make it. There is nothing interesting about it. I was excited when I first heard about it. What a disappointment.